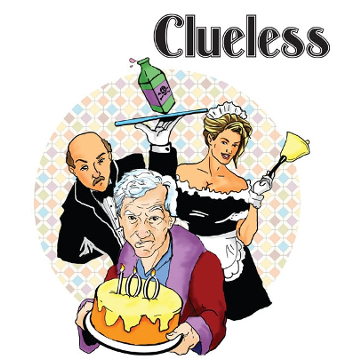 Clueless | Jest Murder Mystery Co. Some would kill for the opportunity to meet Barnabas Barnaby Baggs, the famous Pickle Baron! He’s made a lot of enemies in his rise to the top! I hope none of his enemies tries to kill him tonight. But if they do, will you know who did it? Maybe his latest girlfriend? The angry ex-wife? the spoiled nephew? Perhaps the jealous competitor? …Or You?